 Please read to the bottom to download your free Homeschool Literacy Starter Pack. I could have saved so much time, energy, and money if only I had a clue what I was doing when I chose my first Homeschool phonics curriculum. Hopefully this article can help you avoid some of the problems that I faced when I set out to teach my girls to read and write. Back in 2011, my wife and I were at a dinner party when we were introduced to someone who specialized in teaching parents how to teach their children phonics. But her's was no ordinary reading and writing program. It was teaching children to read and write by teaching them to spell, first! The name of the course was Spell to Write and Read (SWR), which was based on Romalda Spalding's Writing Road to Reading. 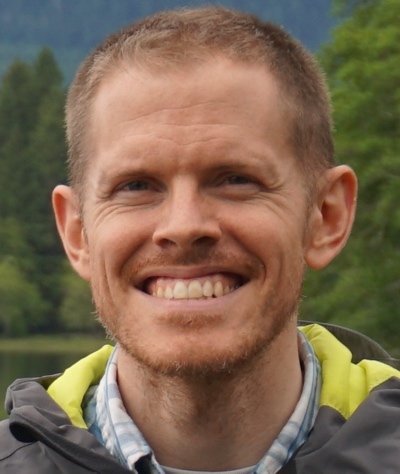 You can picture me, the father of two young girls at the time (2, and 6 months old); a recent homeschooling convert and complete novice, yet zealously determined to be the best homeschooling dad on the face of the planet. After a few short minutes of talking with this woman, I was absolutely convinced that I had found the answer to my children's reading and writing needs. My eyes were glowing like Dobbs (Humphrey Bogart) in the classic movie "Treasure of Sierra Madre," in the scene where they strike gold. I had struck Homeschooling gold. This new aquantance would be my guide, and she was going to give me the map I needed to successfully teach my daughters to read and write. Sa-weet! But like the novice gold-hunter Dobbs, what I thought to be gold at first site, was only fools gold. Not too long after our first introduction I found myself attending a 2-day long workshop which covered the scope and sequence of the (SWR) program. My initial eagerness to crush the program (master it and be ready to teach it with ease) was quickly met with an uneasy feeling in my stomache, a massive headache, and a deep sense of dispair. The more we went over the materials the more overwhelmed I felt. It wasn't an issue of difficult terminology, it was simply the amount of information being presented, and the way the materials were organized. Users were required to jump between several workbooks and create their own spelling and phonics rules booklets while going through the program. What it amounted to was a giant burden for any normal homeschooling parent to shoulder, amid their already busy and tiresome schedules. Another parent in the workshop likened the program to getting a 747 off the runway. "It takes a lot of work to get up and going." This was her second time going through the workshop. I completely agreed with her observation. I felt like a rookie pilot trying to get a jumbo-jet off the ground. After that 2 day workshop, I didn't even know where the start button was. And I was beginning to question the very validity of such an overwhelming curriculum. After that first experience with (SWR) I asked other homeschool families what curriculum they used, and I got a lot of different responses. 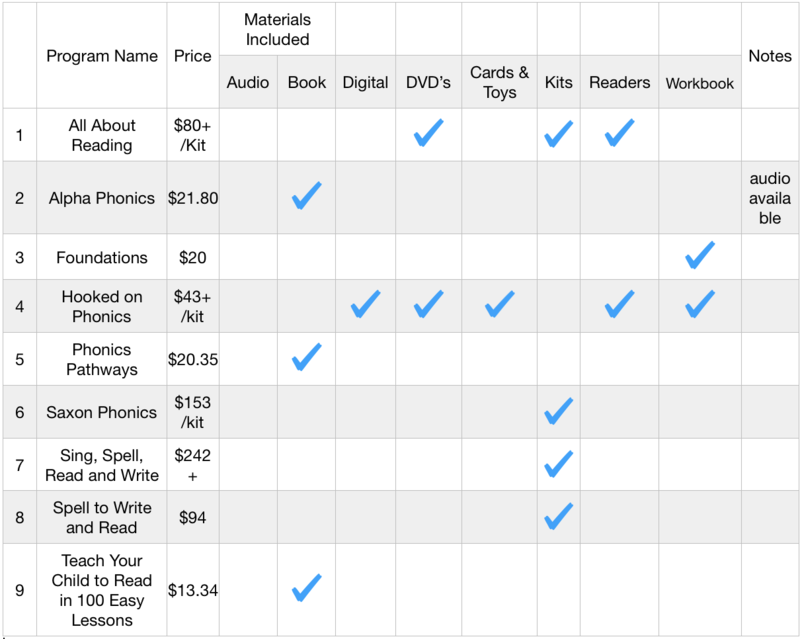 I ended up buying Samuel Blumenfeld's Alpha Phonics and a few other single-book curriculums on the subject- ones that didn't require me to buy different kits for each level. The thought was that kit-based programs would be cumbersome and overwhelming, but also require me to spend a lot of money over the entirety of my children's reading and writing education- especially those programs that included disposable workbooks that needed to be replaced for each child. After teaching my 2 oldest daughters using a hodge-podge of phonics and spelling programs I found that I wasn't satisfied with the results. Yes, my daughters learned to read and love reading, but I often found them guessing at words, and not being able to spell when it came time to teach them composition. It was time that I went back to square one, and re-evaluated what needed to be done about my two eldest daughter's situation; and whether or not I wanted my 3rd, 4th, and 5th daughters to come down the same path. I ended up setting out on a long and extensive journey back to the beginning of American education, in search for answers to how people of the past taught their children to read and write. What I found was an intriguing yet blurred story of how key players like Blaise Pascal and Noah Webster tried to make sense of our English alphabet and vernacular and standardize its use. Their work empowered generations with the tools they needed to succeed in literacy. But despite their efforts, other 'whole-word' methods were eventually introduced that aimed to make reading and writing easier, and more 'fun' for students. Outwardly these new teaching methods showed signs of promise, however, they went against the inherent symbol-and-sound connection of our English alphabet. The fruit of such methods was generations of students who depended on word-guessing, hours plowing through mind-numbing graded-readers, poor spelling, and ultimately, an aversion to reading. Eventually I came upon Webster's American Speller. A book which sold over 100,000,000 copies! Here was the Father of American education, and the creator of arguable the best English dictionary of all time, and he thought that children should be taught to read and write, only after learning to spell words! His method was based on the idea that children who mastered the sound-symbol relationship of our alphabet through spelling words, syllable-by-syllable, would then be able to read any text they were presented with. On Donald Potter's website, which has a treasure trove of resources related to reading and writing, he shares a link to Geraldine Roger's article titled "Why Noah Webster's Way Was Right." This is a good primer on the development and teaching of spelling, reading and writing through the English-speaking world. This is the article that truly convinced me that Webster's way was best. That's what finally convinced me to implement Webster's methods with all of my children, even the older one who had already learned to write. And this was what lead me to end up writing ABC Journey: Teach your Child to Read, Write, and Spell Using Webster's Proven Method. I wanted to bring the genius of Webster's methods and present them in a way that the modern homeschool parent could understand and use. You truly can judge a tree by it's fruit. And it's clear that the highly-literate generations of the past were eating apples from a different orchard than the orchard we're picking from today. I'm sharing this story with you to show you that not all that's available in the Homeschooling phonics market will work for everyone. There are some programs that tread closer to the paths our educational forefathers blazed, but there are many more that do not. In the end, there are countless reasons why a certain program works for one family but not for another. While SWR did not work out for our family, I did learn a lot from the program, and I'm sure some families might say it's a perfect fit for their homeschooling style. A problem with the curriculum? Too difficult, too confusing, too overwhelming, to easy, too cumbersome, too boring, too expensive? Every program is meant to be a tool to help you accomplish the goals you set out to do. If it's not getting the job done, try another tool. Borrow one from a friend, or buy a used program before investing great amounts of money and time into the new program. A problem with your child? Not able to focus, not patient, too young, showing reading problems (dislexia) like reading right to left, guessing at words, etc.? Every child has different abilities and personalities. If they're not getting the job done, you can't switch for another one. Ha! You're stuck. Get to work on helping them overcome the difficulties they're facing. Even if that means taking a break from phonics for a while, and working on your child's ability to focus, and dealing with any physical, emotional, or character problems that are getting in the way. A problem with your teaching? Can't understand the curriculum, don't know where to start, inconsistent, getting angry when teaching? Every parent has unique situations, abilities, and resources that will greatly affect the phonics and writing programs they use, and the effectiveness and speed at which they progress. If you find you're not able to get the job done, ask a fellow homeschool parent who has gone before you, and find out what they did to overcome similar struggles. You don't have to go on this homeschooling journey alone. Depending on your situation, you might have to change the materials you're using, help your child work on their specific problems, or adjust the way you are teaching in order to succeed. Just because you started down a certain path, doesn't mean you have to stay on it till the end. There's nothing wrong with evaluating your circumstances and changing course mid-way through. Parent's don't need to be linguistic geniuses to teach their children to read and write with excellence. Parents of the past who used Webster's speller and a Bible gave rise to the most literate generations our nation has ever seen. It doesn't have to be complicated. Many phonics programs give off a musty, academic vibe, filled with jargon, and inventing all kinds of 'rules.' When in doubt, chose a curriculum that is simple enough to understand, and easy enough to implement in your normal homeschool day. Not all programs and curriculum are equal. They come in all shapes and forms- from the philosophies they espouse, to the way they are presented, to the way they are taught. Some grab attention through slick advertising and fancy packaging. Others include psuedo-phonics activities and pretty pictures which promote word-guessing. And some are simple and truly do help parents teach their children to read and write. Just because a program sells well doesn't mean it's good. Some sell well because they are easy to use, and not because they're based on historical and proven methods. Some sell well because the companies that make them spend a lot on advertising. Some sell well because they look nice. And some sell well because they really are good, and the word spreads quickly! I recommend that you borrow from a friend, buy used, or buy with the option of returning, just in case you find it's not a good fit. Don't commit to several hundred dollars on a program without trying it first. Because phonics, reading and writing is so foundational to all of the rest of our homeschooling efforts, it's easy to buy into the idea that the more you pay the better the level of education your child will get. Rainbow Resources has a wonderful PDF Phonics Comparison Chart available. It gives you a quick, bird's-eye-view of many (not all) phonics programs, the skills covered, and components included. You can find it HERE. Check out the Rainbow Resources PDF curriculum comparison chart for the type of curriculum you are interested in. Write down a list of your top 3-5 curriculum choices. Check out the deeper reviews on Cathy Duffy's phonics page. Check out the reviews on Amazon for each of the programs you are interested in, and especially take note of the 3 star ratings for a good idea of what is good and bad about each program. Sometimes 5 or 1 star reviews are due to subjective things like the author's friend giving a review, or because a book was shipped in bad condition, etc. See if a friend or family member has a copy of the program you are interested in that they are willing to let you borrow, have for free, or buy. I just finished putting together a Homeschool Literacy Starter Pack with a bunch of helpful resources to get you started with your child's reading and writing. Sign up below to get your free download. Subscribe to the newsletter to get your free download. Would This Help Someone You Know? What Do You Think? Please Share Below.